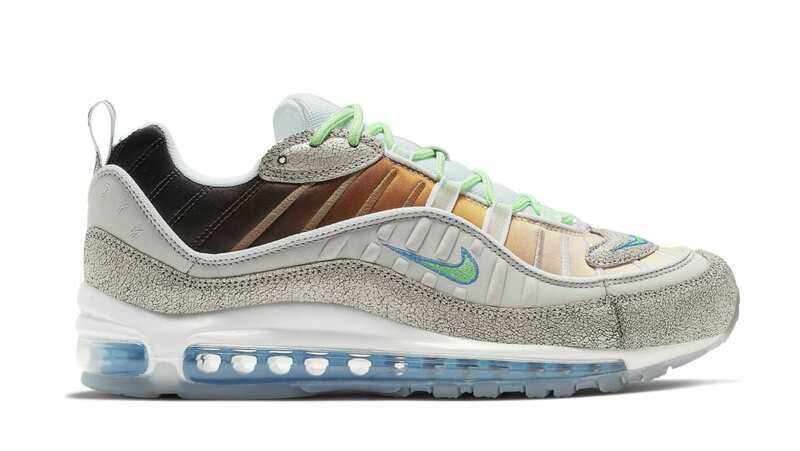 Nike Nike Air Max 98 On Air "La Mezcla"
Designed by Nike: On Air winner Gabrielle Serrano, the Nike Air Max 98 "La Mezcla" will feature a bevy of brown hues on the upper to represent different skin complexions, a concrete-inspired mudguard, mint Swoosh branding. Capping off the look is a white midsole and a translucent outsole. Release date is Apr. 13, 2019 at a retail price of $200. News Nike Air Max 98 On Air "La Mezcla"